"It's just really nice to get some at-bats in the summer," he continued. "If you have three months off in the summer without any at-bats, you are going to be behind in the fall. This really helps out a lot." Last summer, Kerr was finishing a solid prep career at Linn-Mar. A two-year starter, Kerr helped the Lions qualify for the Class 4A state tournament in 2017. As a senior, he hit .346 and posted a 2-3 pitching mark with a 3.55 earned run average. A month later, Kerr stepped on the Kirkwood campus with nothing promised to him. The Eagles team he joined was loaded with talent. They eventually finished 42-17-1, qualifying for the NJCAA Division II World Series. Fourteen players off that team committed to four-year schools for 2019, including Korry Howell, who decided against going to Iowa, opting to sign with the Milwaukee Brewers after being drafted in the 11th round of the MLB Draft earlier this month. That didn't deter Kerr. His work ethic made an impression on Coach Todd Rima and the rest of the Eagles' coaching staff. When given a chance to play, Kerr took advantage. "I just kind of worked my way in," Kerr said. "When (Coach Rima) gave me my shot, I took my opportunity and hit well early in the year and it led to some more playing time late in the year." Kerr finished the year with a .375 batting average. He scored 13 runs and earned a save in five pitching appearances. When injuries forced Rima to juggle the lineup, Kerr stepped in and helped out at first base. By season's end, Kerr got a start in the outfield at the World Series, coming through with an RBI single in the season-ending 9-8 loss to Scottsdale Community College. 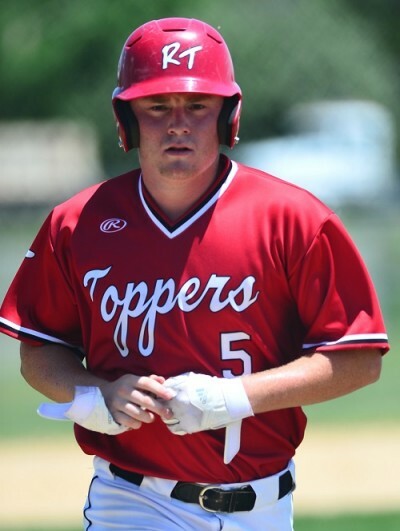 Along with outfielder Taylor Jackson and catcher Joel Thompson, Kerr will be one of the few returning players with much game experience for the Eagles in 2019. "It's going to be a lot different," he said. "This year we were all really close. "We have a lot of new guys coming in, especially a lot of new arms coming in to pitch. There's a lot of talk about (current Cedar Rapids Prairie senior Levi) Usher coming in. I think we're going to be pretty good and pick up where we left off last year." Despite his solid freshman campaign with the Eagles, Kerr said he has not been contacted by any four-year schools. "I haven't heard anything yet," he said. "I would like to play another two more years after Kirkwood, but it would have to be the right fit. If it wasn't, I'd probably just hang up the cleats and go to Iowa." In other words, all Kerr wants is a chance. His track record indicates he would take care of the rest.